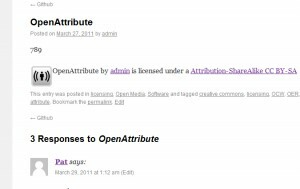 Open Attribute plugin now available. 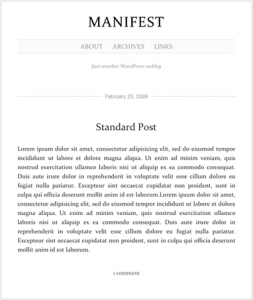 The Manifest theme is all about the content. 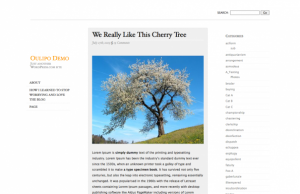 No widgets and sidebars just 500px of single column content space nice and clean. The wordy types will appreciate very “McSweeny’ish” . Remote Publishing is now working. We’ve added a new plugin: FD Feedburner Plugin Redirects the main feed and optionally the comments feed seamlessly and transparently to Feedburner.com. If you are already using Feedburner.com, it’s very easy to add an email subscription box to your blog. Check out my blog post.